UNAVCO personnel took part in a high-resolution GPS survey of the eastern lobe of the Salar de Uyuni in Bolivia, to provide ground truth for NASA's Ice, Cloud, and land Elevation Satellite (ICESat) laser altimeter. A prime objective of the ICESat mission is to acquire multi-year elevation data for Antarctica and Greenland in order to quantify changes in the ice sheets associated with climate change. To help calibrate the ICESat data, UNAVCO's Adrian Borsa and Nic Flores joined Kelly Brunt (UCSD) and Claudia Carbajal (NASA) to collect 1Hz GPS data of the Great Bolivian Salt Flat. The GPS-derived surface height will be combined with data from a 2002 survey of the same area and compared against surface elevations from ICESat. The survey spanned a 45-by-54 km area of the eastern part of the salar and consisted of collecting both kinematic and fixed point GPS data. The kinematic data were acquired by driving vehicles equipped with rooftop GPS antennas over 8 contiguous grids of multiple crossing tracks (approximately 400km per grid). In addition, to provide short-baseline contemporaneous data for post-processing the kinematic trajectories, 4 fixed GPS stations were deployed at various sites within the survey area and repositioned as the survey progressed. 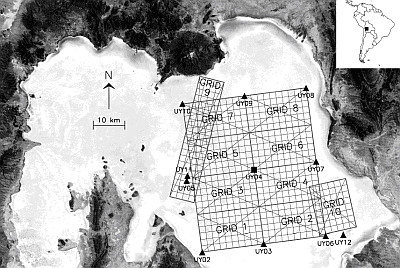 Figure 1- Bolivian Salt Flat map with grids 1 through 8 superimposed. Each grid is about 400km and took about 4hrs to drive. Grids above 8 were not surveyed on this trip. 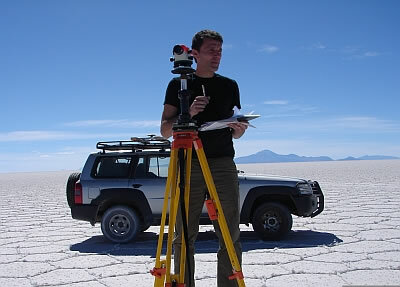 Figure 2- Adrian Borsa (field team leader) taking measurements of vehicle mounted GPS antennas before and after grids are driven. 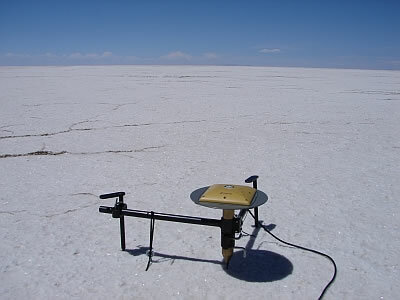 Figure 3- Fixed GPS station on Bolivian Salt Flat.